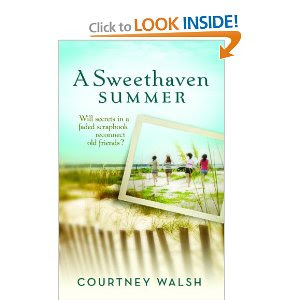 My sweet friend, Courtney Walsh, recently released her very first novel, 'A Sweethaven Summer'. I had the pleasure of just finishing it this week and I LOVED it!! 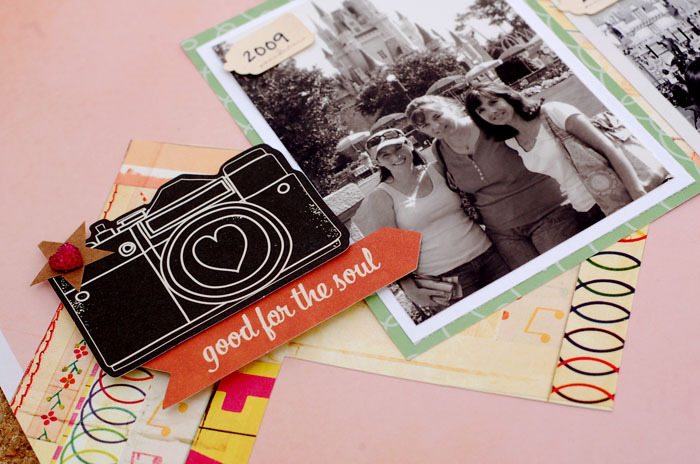 As a scrapbooker, Courtney found a way to weave her love of prose with her love of memory keeping. This book is wonderful! It's about forgiveness, friendship and finding your way home. All month long, Courtney has been doing giveaways as a way to introduce her book. She's also invited several scrappers to create pages based on one of the themes she wrote about. 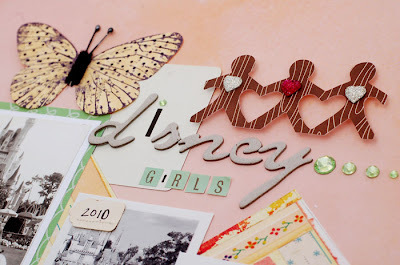 I was so flattered to be included in this list of designers! I decided to create a page about traditions. Every year, at CHA, Jess, Cindy and I visit Disneyland. It is such a wonderful treat to spend time wiht these girls. 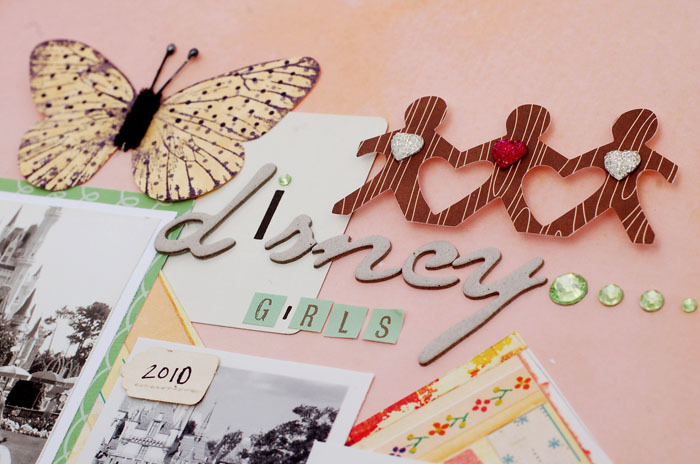 We chat, eat and make our way through the parks. Since we only see each other about once a year, we have a LOT of catching up to do. My favorite part about spending time with them is that we just LAUGH! That's what girlfriends are for. I used February's Studio Calico kit, Daydream Believer, for this page. Anyway, I love this page for the memories it evokes. So now for the fun news!! 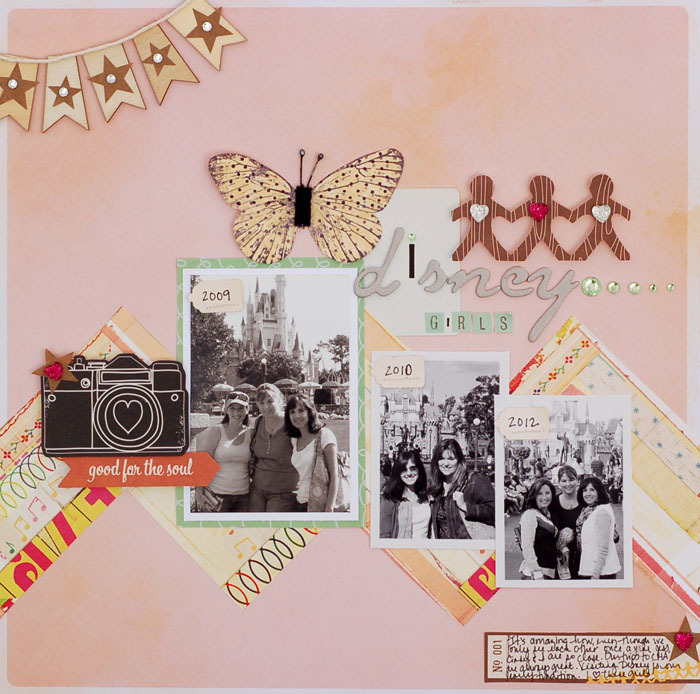 Courtney has a great challenge going on at her blog.﻿ All you have to do is create a page using one of the featured layouts as your inspiration. Maybe you'll use mine! There are some really great prizes up for grabs. Be sure to stop over for some awesome inspiration and to see the details. You can check out "A Sweethaven Summer" HERE. Gosh, your layout is so beautiful and soft! I love the banner in the corner! I love your layout! The soft color and how you built the large chevron pattern. I too love to read and I have another series for you if you haven't already read it. My all time favorite, The Mitford series by Jan Karon.